This is a list of the cameras I have owned. Newest on top. High resolution, huge file sizes. Otherwise pretty much the same as the A7 III. No swivel screen and bad ergonomics. Otherwise quite good. 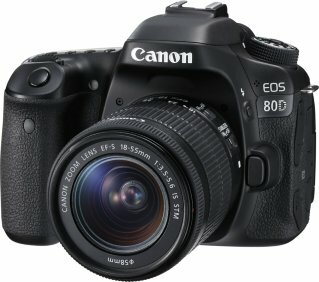 The 80D is a great stills camera for its price. A swivel screen should be mandatory for all cameras. If only the 80D had full sensor 4K video, it would be a great camera and I would have had two. 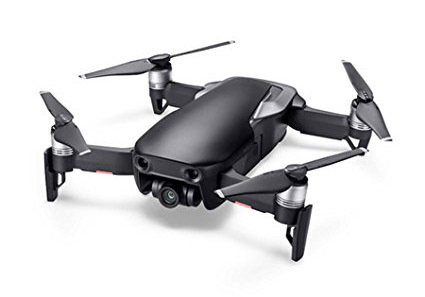 Lighter, smaller and newer than the Mavic Pro. Not necessarily a better choice. It still is DJI software. Crap still images, so I always used the Phantom 4 Pro instead, despite the P4’s bulk and weight. Nice camera, but with some shortcomings. Useless autofocus for video as it is always hunting. I kind of miss it for video work, though. Works with LANC. This camera with Canon autofocus would have been superb. I first bought the Standard, drowned it, then bought and totally crashed a 4K, then bought another 4K that lost contact over the ocean and never returned home. Bought yet another 4K that is still alive, but the unstable compass on this one makes it rather useless. Really great photography tool. Not the best camera, but good enough for most needs, and the ability to shoot both stills and video from almost any vantage point is a amazing. DJI deliver impressive hardware (except compass), buggy nag-/software and abysmal support. Despite its many shortcomings, the FZ1000 has so far been my favorite camera. As it is so versatile as a complete package, it also means that it got used a lot. I never really started vlogging, so this was sold after very little use. Fair image quality. Too large (heavy) to be pocketable. Lacked mic input. I usually just grabbed the FZ1000 anyways, so the G7 X just came short. Weird camera with raw video files. Too cumbersome to actually use, so I sold it hardly having used it at all. A camera that has seen very little use. It is too much of a specialty item. POV videos are boring. A favorite. Fairly good image quality (noticeably better than a smartphone), zoom, and a pocketable size. Great for travel and outdoors. Its biggest flaw was the fixed screen. A superzoom at 24-1200. Great for hiking. Not the best image quality with its small sensor. Images at the long end mostly unusable. But it got me hooked on the versatility of the ‘all in one’ camera. Great body/controls, but only 720p video. Heavy. May be one of the game changing cameras in history, paving the way for video into the realm of photography. I bought this after selling the 7D. I found the Mark III to be somewhat of a disappointment. It was only marginally better than the Mark II, at more than twice the price. I soon sold it, as I didn’t find it worth the investment. Great camera, from when Canon was great. It was the best choice for an all round DSLR at the time, with far better autofocus and fps than the 5D Mark II. I should have kept this and not bought the 5D Mark III (only bought the 5D Mark II). My first DSLR, and the camera that started my semi photography career. Soon got replaced by the 7D. The G10 was a great G camera. High resolution, nice controls and swivel screen. Unfortunately also low resolution video. Bought by employer. I did not know enough about photography at the time to make use of this camera. Bought by employer. Cool look. OK outdoors, barely usable indoors. Great pocket camera with APS film. My first camera. Compact, but not that great images as the negatives were so small.